For our in-house staff, click here. If you're a therapist interested in joining our team, please click here. All of our therapists are graduates of Jungian Institutes or WASC accredited graduate programs in Jungian, Depth or Counselling Psychology. Born in Amsterdam in the Netherlands, André de Koning completed his doctoral examination in Clinical Psychology at the University of Leiden. Later, he was a Visiting Scholar and Lecturer in phenomenological psychology at Duquesne University, Pittsburgh, USA and a Thyssen Fellow at Heidelberg University, Germany. He completed his training as a Jungian psychoanalyst in Brussels and became a training analyst. Since moving from The Netherlands to Perth (Australia) in 1994 André has been involved in the further development of training with the Australian and New Zealand Society for Jungian Analysts and its C G Jung Institute. He was Convener of Training ; Member of the Executive Committee of the IAAP and he has been President of ANZSJA. Since 2012 he has been a member of the Dutch Association for Analytical Psychology (www.NAAP.nl). Andre works in both the English, French and German languages. Angela is a Jungian analyst/psychoanalyst and works with adults from all walks of life and from all over the world. She works with individuals dealing with issues such as anxiety, depression, major life transitions, midlife transitions, grief and major losses, challenges in relationships or at work, feeling stuck, struggling with creativity, suffer from a loss of energy and want to discover and embody their potential and regain meaning in their life in general. Angela helps her clients examine their current situation and areas of being "stuck" and together they explore new ways of relating to oneself and others and eventually learning to relate from a place of Eros rather than power and live a more joyful and fulfilled life. Angela through the analytic work assists each individual to discover their uniqueness, to work on areas that are less developed in their personality, and deal with the material that surfaces from the unconscious, especially dreams which can be seen as messages from the unconscious. This can not only shed light into the current situation but also point to where one's energy should be directed. Jung believed that each person is a unique individual and comes with his inner healing and analysis aims at connecting with both. In the temenos of the analytic space, Angela listens attentively and with great respect to the whisperings of each client's soul in all its manifestations, i.e., dreams, suffering, voice, drawings, or any form of creative work and encourages the client to listen to, appreciate and be receptive to its advice and wisdom. Her first two degrees were in English literature and Humanities, Comparative literature, at York University in Toronto. Her extensive studies in literature provided an excellent exposure to the depths and richness of the human psyche and its creative expressions. Following a number of years of work in adult education and interpreting she studied Psychodynamic Therapy at CTP for two years. 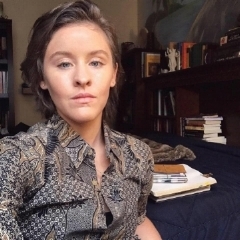 There followed two semesters at the C. G. Jung Institute in Zurich and she completed her formal training in analytical psychology at the Ontario Association of Jungian Analysts (OAJA). Angela has a private practice in Montreal offering individual Jungian analysis to adults in person and via Skype, she teaches at OAJA, lectures for the public, and also teaches depth Analytical psychology to a group of psychologists in Greece. Angela is also perfectly fluent in Greek. Angela is currently a member of the International Association for Analytical Psychology (IAAP); The Ontario Association of Jungian Analysts (OAJA); Canadian Association of Psychodynamic Therapy (CAPT); and of L'Association des psychoanalystes Jungiens du Quebec (APJQ). Angela works in both the English and Greek language. David is a Jungian analyst with a strong background in the Arts. He developed a relationship to the unconscious through the art form of contemporary dance. He was a professional dancer and choreographer for 20 years and he still creates dances when time permits. In 2005, he retired from the stage as a dancer and began a Masters in dance at UQAM (Université du Québec à Montréal). The following year, he began his training in Analytical Psychology at the Ontario Association of Jungian Analysts and graduated in February 2012. Since then he has worked in private practice and offered supervision. David’s fields of interest include Art, finding one’s creative nature, the individuation process as an embodied and lived reality and the exploration and interpretation of dreams. He accompanies adults struggling with different life issues. His work invites one to share, observe and explore their life story. In this process, unconscious issues that are a source of suffering in the present reality are made conscious. In so doing, new energy can become available. This invites a different life view, better choices and new ways of being in the world which are more in tune with one’s deeper self. He works with dreams, artistic and creative material, along with everyday life situations. “Either we live the life others want from us or we live our life.” – D. P.
David is a member of the International Association of Analytical Psychology (IAAP), the Association of Jungian Psychoanalysts of Quebec (APJQ) and of the Ontario Association of Jungian Analysts (OAJA). He is also a member of the College of Registered Psychotherapists of Ontario (CRPO) and of the Canadian Association for Psychodynamic Therapy (CAPT). David works in both the English and French language. Serge is a Jungian Analyst with a degree from the CG Jung Institute in Zurich, Switzerland and is a member of the international association for Analytical Psychology and the association of Jungian Psychoanalyst of Quebec (APJQ). He is a Swiss and a Canadian citizen and resides in Switzerland. He completed his Masters (MA) at the Faculty of Theology and Religious Science from the University of Montreal. He has led many groups in dreams studies and given courses on Jung and Meister Eckhart. Everything related to the Psyche’s spiritual energy, to the religious function or true mysticism, is of great interest to him. Serge helps people who experience stress, anxiety, panic attacks, problems in relationships, sexuality, lack of meaning, depression and any person who needs support to solve whatever blocks the flow of life. He has helped many people going through grief and some facing death. He has worked with clients with addiction issues and those seeking to integrate entheogenic experiences. For Serge, being totally present, warm and listening with compassion is primary to his approach. He enjoys traveling, anthropology, the arts, reading, culture, meditation and yoga. He has been interviewed on psychological questions for newspaper, magazines, radio and television. Serge works with people of many cultures in both the English and French language. Elisabeth first realized her love for psychology and psychotherapy when she started working with artists. Starting her career as a singer and later a voice teacher, she came in contact with artists who experienced debilitating stage fright and at times were blocked in their creativity. She started developing Performance Without Fear, a course in which she used her background in Yoga, Qigong, Meditation and Psychotherapy to help artists release tension both physically and psychologically. At the same time, she discovered the works and psychology of Carl Jung and began her training in Analytical Psychology at the Ontario Association of Jungian Analysts. She graduated in 2009. Elisabeth has a private practice in Toronto. She assists both adults and teenagers struggling with challenges such as anxiety, depression, loss and grief, difficult relationships, loss of meaning and life transitions. She also provides supervision. Elisabeth also offers Skype and phone sessions. In those sessions we may spend time with any pressing issue of daily life, as well as with dreams, journaling, writing, artwork or spontaneous images from the Unconscious. The work of exploration is carried out in a safe and non-judgmental environment with patience, care, and respect for the process. By exploring the yet unknown or repressed parts of ourselves we make them conscious - we know ourselves better - and we can liberate some energy that allows us to make different choices, more in tune with who we truly are. Elisabeth’s focus is to assist someone in their unique Individuation Process. She believes that there is a potential for wholeness in each human being, an urge towards freedom, completeness and self-realization similar to that of a blade of grass, which manages to find its way to the sunlight even through rock and rubble. That is what gives life hope and meaning. 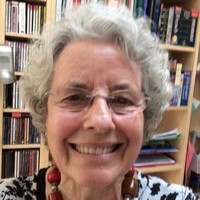 Elisabeth is a member of the International Association of Analytical Psychology (IAAP) and the Ontario Association of Jungian Analysts (OAJA). She is also a member of the College of Registered Psychotherapists of Ontario (CRPO) and of the Canadian Association for Psychodynamic Therapy (CAPT). Elisabeth works in both the English and French language. Caroline is a Jungian Analyst and Psychotherapist who has been in private practice in Toronto since 1988. Born in The Netherlands, Caroline started her working life as an elementary teacher, teaching first in New Zealand and later in Toronto. With a life-long interest and curiosity about human nature Caroline has trained in and experienced a wide variety of therapeutic approaches. These include Gestalt Therapy, body work, personal psychotherapy, Jungian analysis, neurobiology, Masters level studies in counselling psychology and Jungian Analyst training. Caroline considers the psychology of Carl Jung her strongest and most life-changing influence. What especially appeals to her was his ability to be curious without any judgemental attitudes towards his clients. Caroline considers that approach a crucial aspect of how she likes to work with others. Through her many years of personal therapy and Jungian analysis Caroline has developed a profound admiration and respect for the Unconscious. Carl Jung taught that healing comes from the Unconscious and therefore her focus is to create a safe environment to guide people in a gentle process of discovering what has previously been hidden. This can facilitate a new approach to the challenges of daily life such as relationship dynamics in family and work, understanding the dynamics of internal conflict, struggles with eating and body image, as well as lesbian and gay issues. Caroline brings a focus on assisting her clients gradually to foster a deeper and more compassionate relationship with themselves. Caroline is especially fond of dream analysis, but also uses writing, active imagination, body awareness, the I Ching , guided meditation, creative activities and other modalities to help in this process. Important in personal work is the influence of childhood experiences in shaping who we are as adults and understanding how these early experiences can imprison us in outdated and false perceptions of ourselves and others. Caroline can help make sense of which of our current struggles are rooted in the past and how the early adaptations we made in order to survive, can still manifest in our current lives as habitual actions or reactions to everyday situations and relationships. Becoming more aware of these dynamics can in time, free us to be more true to the inner Self and live life with more satisfaction and authenticity. Caroline offers individual therapy as well as supervision. She is a Registered Psychotherapist in Ontario (CRPO), a member of the International Association of Analytical Psychology (IAAP), a member of the Ontario Association of Jungian Analysts (OAJA) and a member of the Ontario Society for Registered Psychotherapists (OSRP). Dr. Michael Daine, Ph. D.
Michael is a Licensed Psychologist specializing in the practice of Jungian analysis. His diverse training and experience in Jungian work began at the C.G. Jung Center of Houston where he served as Assistant Director and Training/Program Coordinator for many years. During that time, he was honored to learn from some of the of seminal international thinkers in the Jungian world, as well as other depth psychologies, art and body therapies. For Michael dreams are the core of analytic work. Personally, he began attending to his dreams as a young child when his family would share “breakfast and dreams” every morning. He learned quickly that dreams hold a deep, mysterious magic that has the power to change everyday life. Dr. Daine has trained at the C.G. Jung Institute of Colorado, the C.G. Jung Center of Houston, Boulder Association of Jungian Analysts, and many other training organizations. Michael received a Counseling Psychology doctorate from the University of Houston's APA approved program which included specialized training in psychopathology, family systems, and addictions. He has 20 years of international leadership and faculty experience in counseling, psychology, and health services in higher education (Colorado State University, Sonoma State University, St. George's University Medical School-Grenada, W.I., Clemson University, The Citadel, The College of Charleston, and the University of Houston). Outside of the academy, Michael has provided and directed clinical services at in-patient substance abuse and psychiatric hospitals, out-patient mental health centers, and private practice. Michael also serves as media consultant and has had his own talk shows on National Public Radio and Community Radio. Dr. Daine is a member of the International Associate of Jungian Studies and the International Association of Neuro-psychoanalysis. Michael’s practice focuses on providing adults a deeper understanding of the psyche and to attend to the inner world; using it as the guide on their journey. Analytical work is a deeply intimate and vulnerable relationship for both the client and the analyst. Recently, Michael has begun a new creative adventure and has begun writing fiction from a Jungian perspective; exploring character and plot through the lens of the personal and archetypal unconscious. I specialize in working with the deeper causes and roots of severe stress, anxiety, depression, relationship issues, career challenges, and sexual concerns. My approach is generally ideal for those who have had limited success with other therapies or medical interventions, and who feel there might be deeper or more complex issues involved. Primary areas of focus include: sexual concerns, anxiety, stress, midlife transitions, workplace or career issues, LGBTQ oppression and healing, divorce, men's issues, and relationship struggles. Each treatment is unique and tailored specifically to your needs. We work collaboratively to explore and focus on effective ways to bring you support, new tools, and greater awareness to deal with or overcome difficult situations and challenges--so that you can move forward to find freedom and peace again. I live and work in downtown San Francisco. In addition to private practice, I work with executives and organizations to better understand unconscious organizational dynamics, much of which is derived from Jungian and systemic perspectives. I hold a Ph.D. in Psychotherapy from Pacifica, and certifications in leadership and coaching from Georgetown University. Dr KD is a consummate guide into the world of the unconscious, giving ground and form to what can otherwise seem frightening and unknowable. She makes seemingly complex principles of life accessible and poignant for both men and woman alike. Her clients often remark on her tremendous ability to be present with them and to help them to feel seen and understood. She has honed her ability to bring clients to a place of depth and safety while working in person, via phone or via Skype™. Dr. KD specializes in process-oriented consciousness work—a means by which to enter safely and deeply into the inner landscape of the psyche for positive and real-world change. She is an author, speaker and workshop leader. Her roots as a therapist, healer and bodyworker have seeded over the last thirty years, bringing substance and depth to her one-on-one work with clients. She has a Ph.D. in Jungian-oriented psychology from Pacifica Graduate Institute of Santa Barbara, CA. Her dissertation work is entitled, The Topography of Liminal Space. In addition to phone and Skype sessions, she has offices in both Santa Barbara and Beverly Hills. Her areas of expertise include: Individuation, Dreams & Active Imagination, Complexes & Projection, Couples & Individuals in Transition, Relationship Communication & Dynamics, Fidelity/Monogamy/Polyamory, What it takes to Live a Truthful Life, Creativity, Self-Esteem and Passion. Cynthia Cavalli, Ph. D., is a systems and organizational management consultant specializing in strategy development, future studies, and the dynamics of change and transformation. She has 30 years of experience in aerospace engineering, a Ph.D. in Human Systems, an MBA, and a BS in Physics. Dr. Cavalli utilizes a unique approach to individual and organizational transformation that integrates the principles of complexity science and Jungian psychology. She focuses on the patterns and stages of transformation to help individuals and organizations optimize and creatively leverage periods of uncertainty and ambiguity. Do you find yourself feeling stuck in your personal life? Or perhaps you need help getting your company or organization back on track? Such situations may feel impossible to overcome, but Cynthia can help you change obstacles into opportunities. Times of uncertainty and chaos always contain hidden within them critical moments of unparalleled opportunity. See more at: www.cynthiacavalliconsulting.com. Jungian Psychotherapist Alexis Durgee, M.A. Alexis has a Master's in Clinical Mental Health Counseling from Nova Southeastern University. She is a contemporary eclectic Jungian who incorporates emerging social consciousness and integral theory in with process-oriented transpersonal psychology. Her foundation is in classical analysis as it is put forward in analytical psychology and she puts strong emphasis on the Unconscious and tend to tie this in with current archetypal constellations. She is currently completing her Ph. D. in Clinical Psychology at Pacifica Graduate Institute. Gary has a Master's degree in Jungian-oriented psychology from Pacifica Graduate Institute of Santa Barbara, CA., an undergraduate degree in Philosophy from the University of British Columbia. He is a certified administrator of the Myers-Briggs Type Indicator and has been working with Personality Type and Archetype since 1994. He is the founder of JungianOnline.com and a board member of the Depth Psychology Alliance. A dynamic and engaging speaker, Gary speaks, writes and leads workshops internationally. Andrew Harvey called his first book "an original masterpiece." Gary's areas of specialization include understanding our Archetypal Nature, the Archetypal Feminine and Masculine, Personality Type (MBTI), Synchronicity, Spirituality, Projection and Intuition, and Ending Toxic Relationships. He is a writer, workshop leader and teacher of Jungian Studies–he brings his expert knowledge to the service of his clients, introducing them to Jung's work and helping to direct their independent study. His first book, Jung, Crop Circles & the Reemergence of the Archetypal Feminine, was published by North Atlantic Books and distributed by Random House in August 2014. We're proud to have worked with the following previous members. These clinicians are most often not taking new patients. Jason is a Jungian psychoanalyst based in the beautiful Cape Ann region of Boston’s North Shore. His areas of focus include dreamwork, career exploration, grief counseling, depression, trauma, and spiritual development. One of Jason’s main interests is in Carl Jung’s insight regarding the religious function of the psyche, a subject of which he has made a passionate study. He has developed an approach to spiritual practice and mentoring called Contemplative Dreaming, which integrates Jungian dreamwork with practices and insights derived from the contemplative and mystical dimensions of the world’s great wisdom traditions. Jason received his Master’s degree in Counseling Psychology with an emphasis in Depth Psychology from Pacifica Graduate Institute in 2001. More recently, Jason graduated from the C.G. Jung Institute - Boston with a diploma in Analytical Psychology and is a member of the New England Society of Jungian Analysts. With over 15 years of clinical experience, Jason has worked in many settings. He has led career counseling groups and offered individual career counseling from a Jungian perspective; he has facilitated dream groups and taught classes and workshops on dream interpretation; he has run a support group for hospice workers; and he has provided mental health and substance abuse counseling to low income individuals at the Lahey Health Behavioral Services clinic in Gloucester, MA. Currently, Jason is president of the Training Board of the C. G. Jung Institute in Boston and he has a private practice in Manchester-by-the-Sea, MA . Please join our email list for info on upcoming new courses, events and therapists.